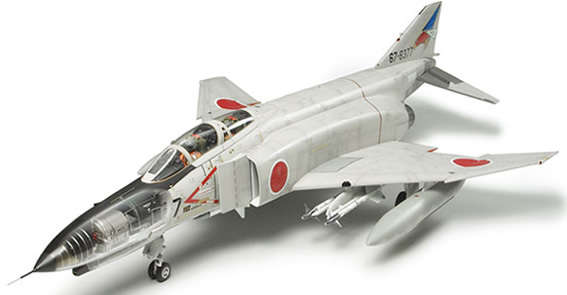 << Back TAMIYA "McDonnell F-4EJ Phantom II / Japan Air Serf-Defense Force"
TAMIYA "McDonnell F-4EJ Phantom II / Japan Air Serf-Defense Force"
The F-4 Phantom II deployed to U.S. Navy and Marine units in the 1950's displayed such superior maneuverability and performance that it came to be used by a total of 11 other western nations. 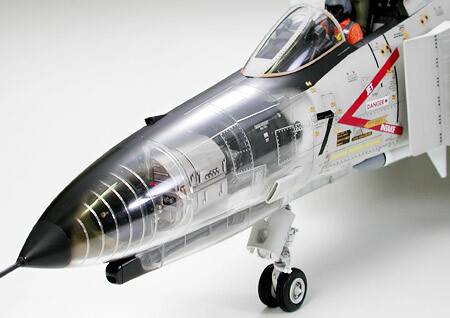 The F-4 deployed to JASDF squadrons since 1973 was designated F-4EJ, and had been based on the U.S. Air Force F-4E. 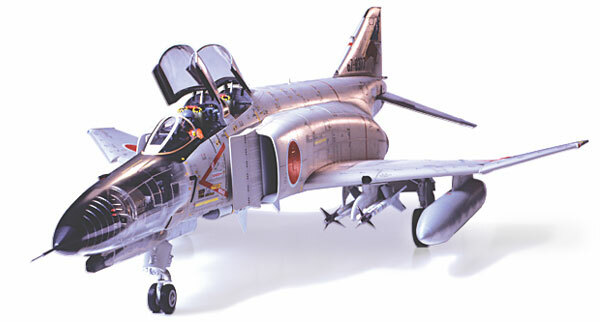 Changes made for the F-4EJ included removal of ground attack control equipment such as weapons and bomb delivery systems and the addition of modern electronic equipment including a data link system and radar warning receiver. 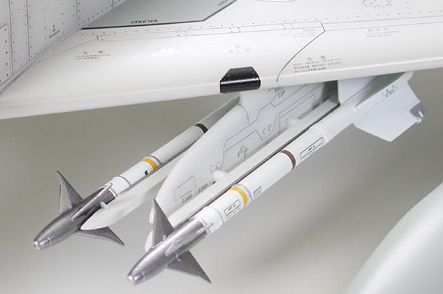 The F-4EJ came equipped with a 20mm Vulcan canon affixed under the nose, and AIM-7E Sparrow and AIM-9L Sidewinder missiles. In the late 80's the F-4EJ was refurbished with the latest electronic equipment and new radar. With the JASDF celebrating its 50th anniversary, the F-4EJ continues to serve on the front line maintaining its reputation for reliability. Overall length: 600mm, Overall width: 368mm. 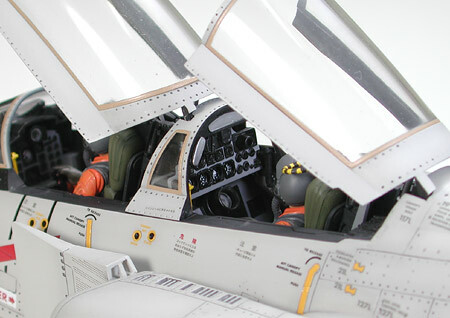 All unique aspects of the JASDF F-4EJ, including specially developed instrument panel, have been accurately reproduced. 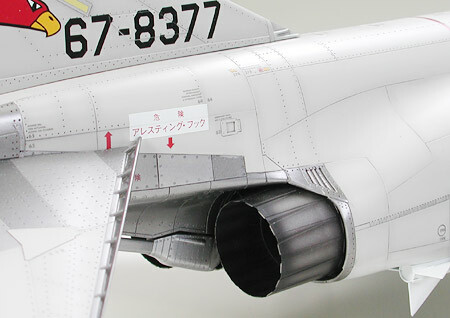 Large parts such as wings and fuselage are secured using small screws. Nose made from transparent parts allowing display of intricately detailed 20mm Vulcan gun and radar. Markings for 10 planes representing all 6 JASDF squadrons.